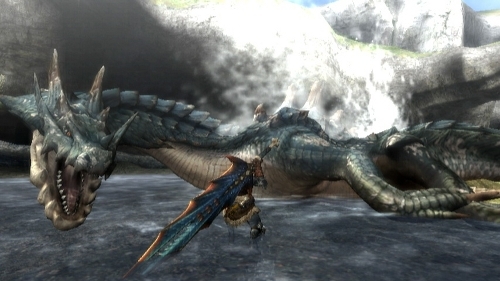 When it was first announced that the next Monster Hunter game, Monster Hunter Tri, would be released not on a Playstation platform, as all previous titles had been, but on the Wii, it caused a bit of a stir in Japan. However, the folks at Nintendo were quick to offer long-time fans of the series the opportunity to enjoy the game in a similar fashion (from an actual play/interface perspective, at least) as they had with previous Monster Hunter games by bundling the game with a new controller, the Classic Controller Pro. Well it seems that we here in the States will not only be getting the game in a few months' time, but we will be getting the same game/controller bundle as well. SAN MATEO, CA, and REDMOND, WA, - January 25, 2010 - Capcom® Entertainment, a leading worldwide developer and publisher of video games, and Nintendo of America today announced an exciting new bundle featuring one of the most highly anticipated titles for 2010, Monster Hunter® Tri, and combining it with the new Classic Controller Pro™ for the Wii™ system. The Classic Controller Pro's more traditional control configuration will give gamers the ultimate Monster Hunting experience when the bundle becomes available in North America this April at a suggested retail price of $59.99. The first thought that popped into our heads when we saw pictures of the Classic Controller Pro was that Nintendo pulled the "wings" and shoulder buttons off a PS3 controller and slapped them on the back of a Classic Controller. We also couldn't help but wonder how well the end product functions and whether or not those "ergonomic friendly grips" really help at all. 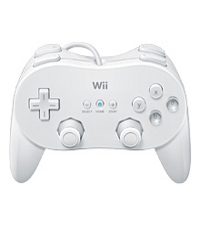 Impressions of the Japanese version of the controller, however, have been rather favorable. Regardless, Monster Hunter fans stand to benefit the most from this bundle as getting a $20 peripheral at half cost is a pretty good deal. For everyone else, no word just yet on which 450 Wii, Wiiware, and Virtual Console games will be compatible with the new controller, but we certainly hope they include a few co-op titles in there.